The Old Gold & Black is published Thursdays during the school year, except during examinations, summer and holiday periods, by Triangle Printing of Durham. The views expressed in all editorials and advertisements do not necessarily reflect the opinions of the OGB. As part of our commitment to reporting news fairly and accurately, we will not remove any previously published content. If an error in either our online or print content is brought to our attention, we will revise the originally published article with an appended correction. In order to facilitate thoughtful and appropriate debate, profane, vulgar or inflammatory comments on our website are not allowed and will be deleted. We reserve the right to reject advertisements deemed inappropriate. The OGB welcomes submission in the form of story tips, columns and letters to the editor. Letters to the editor should be fewer than 500 words and columns should be around 500 words. 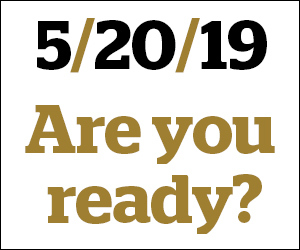 Send yours via email to johnlg16@wfu.edu the Monday before publication. We reserve the right to edit all letters for length and clarity. No anonymous letters will be published.